You may think Patches is named that because of his coloring - you'd be only half right. Patches is the perfect patch to a broken heart - the love and trust that come out of this cat to any kind soul he meets are just beautiful. He's got a special soul, our Patches! 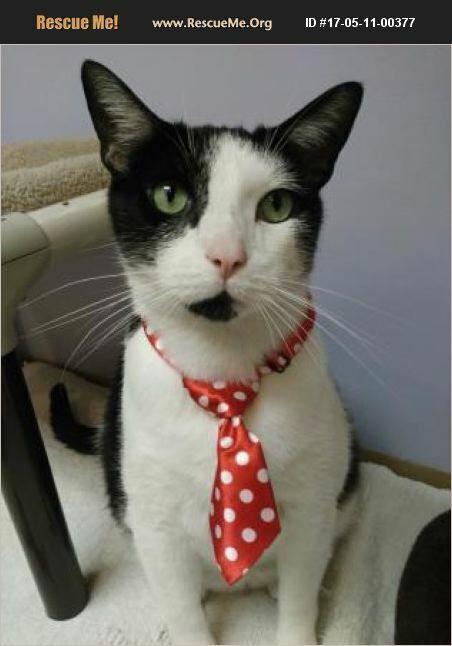 He's a 5 year old kitty with gorgeous sea-foam green eyes that arrived at ACL as a stray. He was never reclaimed, but that's ok - we're going to find him a family that truly appreciates what a good cat he is. Patches is great with other cats, kids, maybe even dogs! There's not much our Patches can't learn to love. If your heart is a little bruised, come get patched up with Patches.